This herb is specific for mastitis (breast infection) or threatened mastitis. It usually works within 24-48 hours and is extremely effective. It gives quick results and has eliminated the need for antibiotics in almost every case. Because only 2-4 DROPS (not droppersful) are used at a time, a small bottle will last a very long time. It is available in an alcohol-based tincture only. Note: use as directed. This herb may cause nausea or vomiting if large amounts are used. It is safe during breastfeeding, as the dose used and needed is extremely low. Short-term use is advised. 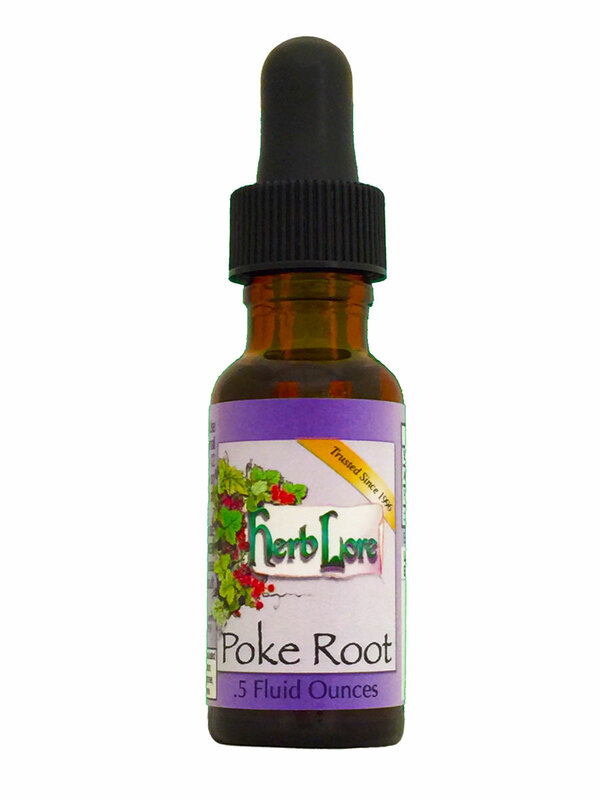 Please see our article entitled Poke Root Info under the More Information tab for further product information and usage suggestions. Not for use for children or those who are pregnant.